Dealmoon Exclusive! Piping Rock Health Products offers 15% Off Piping Rock Brand Vitamins, Essential Oils and More via coupon code "DMOON15". Piping Rock Health Products offers the 2-Pack Hyaluronic Acid Serum (1 oz.) for $5.99. 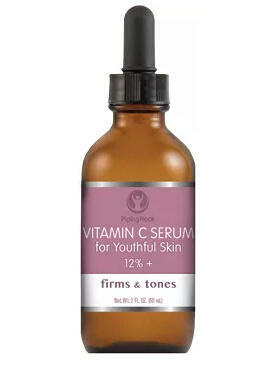 Piping Rock Health Products offers the Vitamin C Youth Serum for $2.99. Shipping fee is $3.95, or free shipping on orders over $40. Limited-Time Only, While Supplies Last. Features: Brightens, firms & tones skin, Helps fight and repair sun damage, Boosts skins radiance & glow, Promotes a healthier, youthful-looking appearance, Non-oily, fast absorbing formula, Paraben-free & contains no harsh chemicals, fragrances or colorants. 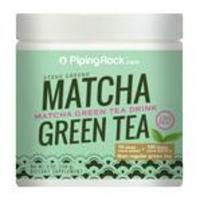 Piping Rock Health Products offers the Matcha Green Tea Powder 4.5-oz. Tin for $4.99. 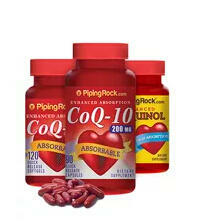 Piping Rock Health Products offers 10% off Piping Rock Brand Vitamins & Essential Oils via coupon code "ROCKINDEALS2". Piping Rock Health Products offers the Piping Rock Matcha Green Tea Powder 5-oz. Canister for $4.99 with free shipping. 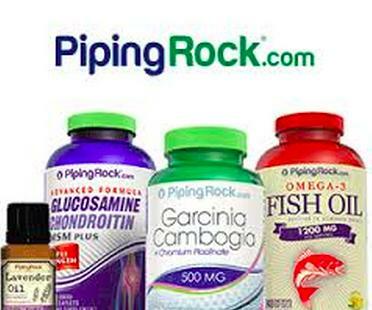 Piping Rock Health Products offers 15% off Fish Oils via coupon code "FISHOIL". Piping Rock Health Brand only. Piping Rock Health Products offers the Piping Rock Rosehip 100% Pure Essential Oil 0.5-oz. Bottle for $4.99. 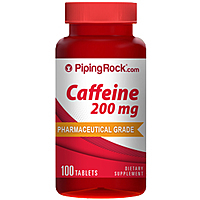 Piping Rock Health Products offers the Piping Rock Caffeine Tablets for $1.99. Deal ends 9/18 at 15:00 am EST. 100 tablets per bottle,200mg per capsule.A natural stimulant,high quality caffeine, promotes physical and mental energy. Piping Rock Health Products offers 10% Off Fish Oil via coupon code "FISH10". Valid only on Brand Items. Shipping fee is $3.95. Free Shipping on orders over $40. Piping Rock Health Products offers 10% off $30 orders or more via coupon code MOON10. Shipping is $3.95, free shipping on order over $40. Piping Rock Health Products offers free shipping on any order. Please note, have to Click This Link to get free shipping.